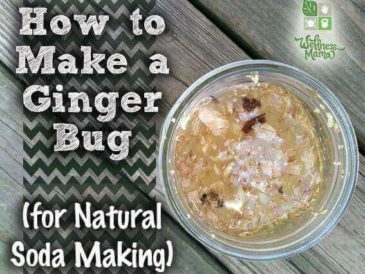 This natural recipe for ginger ale uses fresh ginger and a cultured ginger mixture (called a ginger bug) to create a naturally fermented and naturally fizzy ginger ale. Though this mixture can contain a small amount of alcohol if left to ferment at room temperature for weeks, we use the short brew method to create a fizzy soda without the alcohol. Homemade ginger ale is soothing for digestive disturbances and contains probiotics and enzymes. 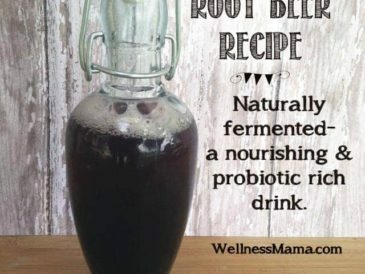 As with any fermented product, I’d suggest starting with a small amount (4 ounce or so) and working up, as all the probiotics and enzymes can cause an upset stomach in those who aren’t used to consuming fermented products. I found small amounts of this mixture helpful in early pregnancy and any time one of us has an upset stomach, to ward off nausea. It also just tastes great! 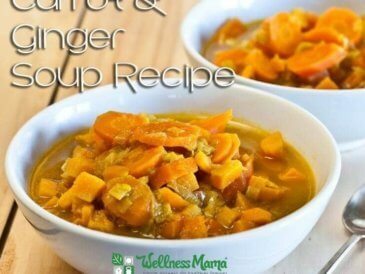 This recipe makes 2 quarts of natural ginger ale, though the recipe can be adjusted up or down by using a ratio of ¼ cup sugar and ¼ cup ginger bug starter per 1 quart of water. 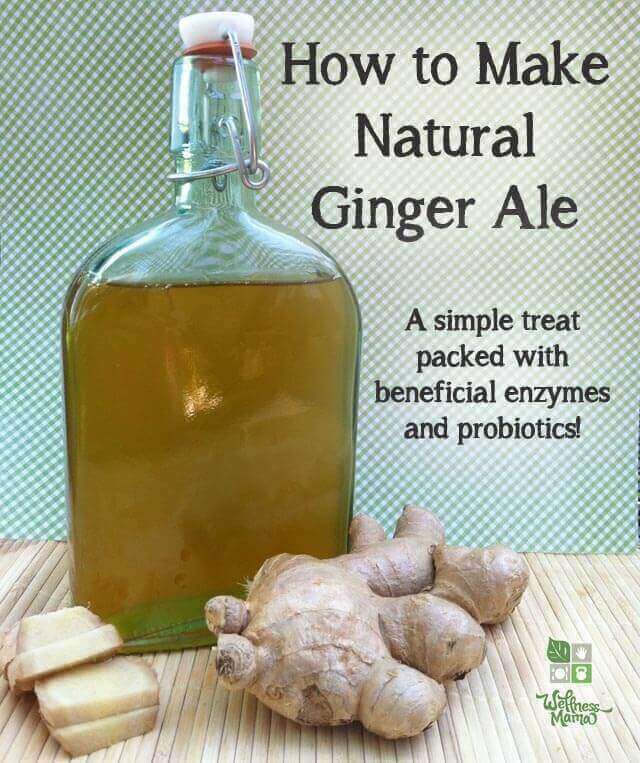 A naturally fermented old-fashioned ginger ale (also once called ginger beer) that contains beneficial probiotics and enzymes. 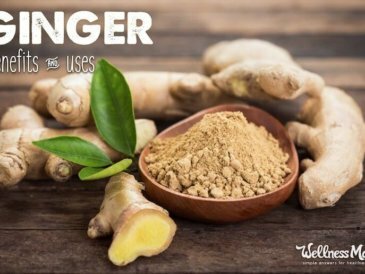 Make a "wort" for your ginger ale by placing 3 cups of the water, minced ginger root, sugar, molasses if needed, and salt in a saucepan and bringing to a boil. Simmer the mixture for about five minutes until sugar is dissolved and mixture starts to smell like ginger. 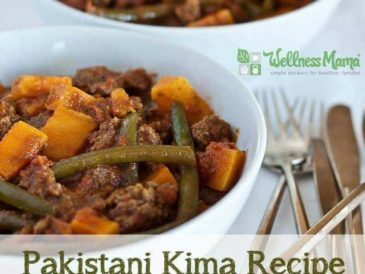 Remove from heat and add additional water. This should cool it but if not, allow it to cool to room temperature before moving to the next step. Add fresh lemon or lime juice and ginger bug or whey. Transfer to a 2 quart glass mason jar with an air-tight lid. Stir well and put lid on. Leave on the counter for 2-3 days until carbonated. Watch this step carefully. Using whey will cause it to ferment more quickly. It should be bubble and should "hiss" like a soda when the lid is removed. This is very temperature dependent and the mixture may need to be burped or stirred during this fermentation time on the counter. Transfer to refrigerator where it will last indefinitely. As with any traditional fermented drink, this is more of an art than a science. The outcome depends greatly on the strength of your culture, the temperature of your house, and the sugar used. The final mixture should smell of ginger and slightly of yeast/fermentation and should be fizzy. Watch carefully that it doesn't become too carbonated as this will cause too much pressure and may result in an exploding jar! The mixture can be strained and transferred to Grolsch style bottles before putting in the refrigerator. 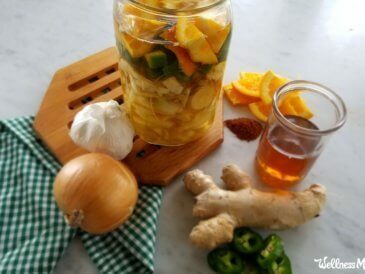 Have you ever made a naturally fermented drink like ginger ale, kombucha, or water kefir? What is your favorite? Share below!